Hooked X -- key to Armageddon? Recently, while watching the History Channel on TV, I saw an amazing documentary about the artifact known as The Kensington Rune Stone. The documentary was called Holy Grail in America. According to the documentary, The Kensington Rune Stone contains one very special symbol: "The Hooked X." The moment that I saw that symbol on the television screen, I recognized the shape. But, its meaning has eluded investigators and scholars for decades. And, the inscriptions on the stone are believed to have been made in 1362 — by Europeans, in Minnesota, 130 years before Columbus landed in the "New World"! So, why do I think that the shape of this rare and mysterious rune symbol is linked to Christopher Columbus? Because the documentary showed that same symbol as part of his signature! And, how can this "hooked X" become a key to understanding how near we are to Armageddon? Read on. First, let's look at the shape of the rune symbol itself. 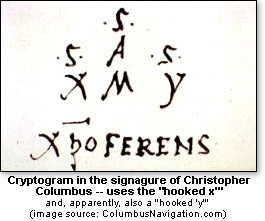 And, now, let's look at how the "hooked 'x'" fits into the cryptogram that is incorporated into the signature of Christopher Columbus. Pay special attention to the hooked portion of the "X," and the space between it and the main portion of the "X." Now, look at this map of North Africa and the Middle East — and see how the Sinai Peninsula fills the gap of "The Hooked 'X.'" 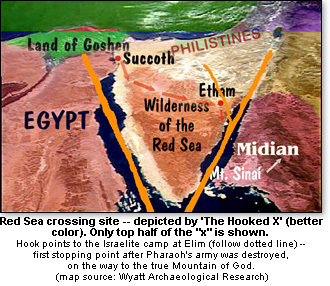 As the above map — with the "hooked 'x'" superimposed — shows, the Sinai Peninsula fits in the gap between the "hook" and the normal portion of a letter "x." In this rendition, the hook and the upper-right "arm" are over the Gulf of Suez and the Gulf of Aqaba. But, this is not the only fascinating aspect of this overlay of the cryptic rune. The ends of the lines also seem to have special meaning. The end of the "hook" lands on el-Iskandaria (in English: Alexandria), a city that was named after Alexander the Great. At a young age, the conquering general from Macedonia stretched out an emperial army across all of his known world. He reportedly broke down and cried when there were no countries left to conquer. And, some people thought of him as a god. Alexandria would not be founded until about a thousand years after the Exodus. Thus, its namesake "god-king" would only merit the "small end" of this unique runic symbol. The end of the upper-right portion of the "x" lands over Damascus, Syria. In that city, there was once a temple to the pagan gods of that time. The Holy Bible records (2nd Kings 16:1-20) that the evil King Ahaz "caused his son to pass through the fire." That is Bible language for making a child sacrifice to the demon-idol Molech. Ahaz also copied the design of an altar to "the gods of Damascus," and then ordered that this copied altar be placed in the courtyard of the Temple of God. This major insult to the One True God, Yehowah, was documented and explained in more detail in my column "Does diplomatic deal drive Damascus destruction?." The lower-right portion of the "x" lands over the Bab al-Mandeb — the strait at the southern mouth of the Red Sea; and, more specifically, on its eastern shore. This would be the southernmost portion of the land of Midian — the place to which Moses escaped from Egypt after he killed an Egyptian soldier. Eventually, Moses was taken in by Jethro, a "priest of Midian," and then Moses married Jethro's daughter. The Bible does not say which pagan god Jethro had served before meeting Moses. But, after Moses had his experience at the Burning Bush, history records that Jethro assisted Moses in service to Yehowah. The "x" seems to indicated that God would systematically "X-out" the pagan gods that had surrounded His people. The above analogy continues at the top-left portion of the "x," which extends into the Phoenician empire. There, the people worshipped pagan gods imported by sea trade with the Canaanites — the targets of God's special wrath. Among the pagan religious practices in the Phoenician empire was child sacrifice. The Phoenicians worshipped "the Baals," as did the Canaanites and the other nations that the Israelites would later crush after the Exodus. Chief among the gods of the Phoenicians was Baal — their chief god, the "son of Dagan." (Years later, the Israelite hero Samson would die while destroying the temple of Dagon in the land of the Filistins. Dagan/Dagon is a giant fish — from which we get the slang expression "holy mackerel.") Another of the Phoenician gods was Baal-Hammon. That was also the name of one of the places where the Israelites walked as they followed God out of Egypt. So, again, God was planning to visit and "X-out" the rival pagan gods that demanded child sacrifice. This point should get the attention of wishy-washy "Christians" that are soft on the abortion issue. The lower-left portion of the "x" ends at the region of Lake Victoria and Mount Kilimanjaro in east-central Africa. It is from the top of that mountain that the pagan gods worshipped by the tribes in the "land of Cush" are believed to emminate. So, again, Yehowah had marked His turf, and was planning to "X-out" any rivals to His rule of the universe. This concept is made plain by His declared name, which translates simply into, "I am." By this statement, He implies that all other so-called gods "are not." This point is central to one portion of my book, Tribulation: 2008. So, we see that all four ends of the main portions of the "hooked 'x,'" along with the end of the hook itself, fall over specific areas where rival gods were worshipped. But, is there more to the meaning of the "hooked 'x'"? Oh, yes. When that same shape and proportion are used, and then centered over the spot where the "hook" and the "x" met on a larger scale (the southern tip of the Sinai Peninsula), a fascinating thing happens. Let's shrink the size of the Hooked X, and look at the result. Due to technical problems with the background colors of the above map, the lines do not show up that well. Let's take a look at the same concept, superimposed over a different map. As you can see, the focal point of the Hooked X rests upon the very spot where the Israelites waited on the beach while God blew an east wind and dried up the Red Sea! 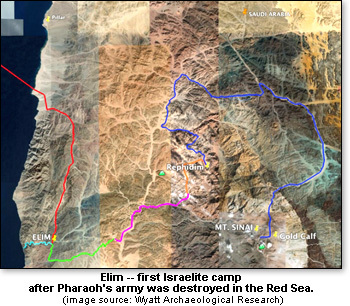 And, due to the curved angle of the hook, the dotted line passes over Elim — where the Israelites first camped after Pharaoh's army was destroyed in the Red Sea. What are the chances that the same unique rune symbol, when superimposed over a map at different proportions, could point to key places in Bible history? There is more — much more — to this concept. Overlaying the "Hooked X" on maps at different scales points to other key locations that are significant in the Bible — in both the past and the future! Some scientists believe that ancient people had maps that were so accurate that they could only have obtained the information by means of a view from outer space. The overlay of the Hooked X onto maps at various scales — but always centered upon the lower portion of the Sinai Peninsula — repeatedly points to significant Bible locations. 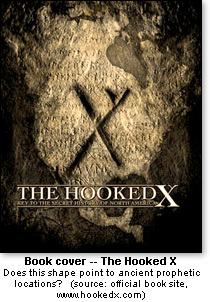 The unique shape of the hook, coupled with its pointing to the camp site at Elim, seems to confirm the accuracy of both this "Hooked X" connection to Bible events (both past and future!) and the Wyatt research to determine the correct crossing-point of the ancient Israelites. Notice also that the upper-right portion of the "x" points to the region of the Dead Sea. This area was where the Israelites defeated the pagans of Jericho, shortly after arriving in the Holy Land. It is also where God had destroyed the vile cities of Sodom and Gomorrah, while Abraham was still living in the Holy Land as a stranger "from the other side" (that is the meaning of the word "Hebrew"). Also notice how the line of the upper-left portion of the "x" creates a divider between the Israelite settlements in the Land of Goshen and the pagan city of Heliopolis (Greek for "city of the Sun"), where the Sun was worshipped as a god. In the pantheon of Mesopotamia, the sun-god was named Baal. This name is an important point, as explained in my second book. As written above, this Hooked X symbol can be enlarged and it still points accurately to important Bible locations. Keeping the main center of the "x" over the southern tip of the Sinai Peninsula, let's enlarge the "x" well beyond the borders of Israel, and see what we find. For thousands of years, the exact location of Noah's Ark was a mystery. 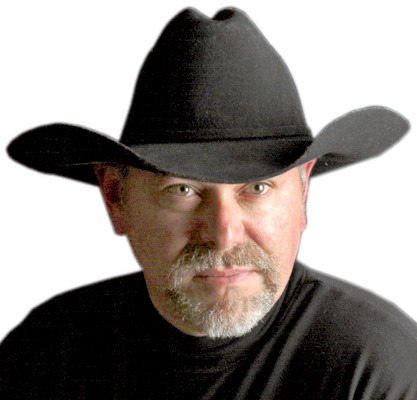 Ron Wyatt also discovered that location. Part of the key was his analysis that every word of the Holy Bible is important. 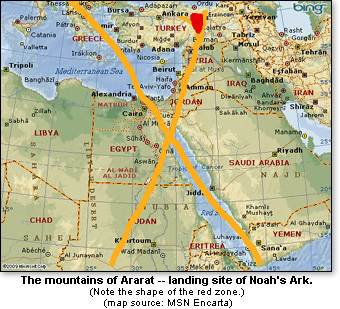 Regarding the location of Noah's Ark, the Bible says that it came to rest upon "the mountains of Ararat" (note the plural, as opposed to the singular "Mount Ararat"). It is for this reason that an entire zone is highlighted in red in the above map. Also note that, on the upper-left portion of this enlarged "x," the line ends over Greece. That is another country that worshipped multiple gods, and had a specific name for its sun-god. In each of these graphics, the angle used for the "x" was the angle formed by the Sinai Peninsula. Because this angle comes from a terrain feature, and is thus outside the control of any human, one must conclude that God Himself has used this design for some specific reason(s). What reason(s)? The totality of that answer remains beyond mortal human understanding. But, we can gain a glimpse or two. 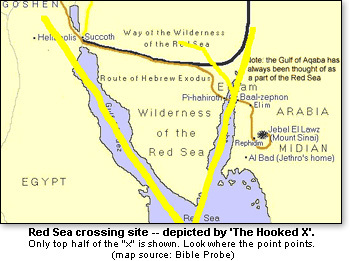 For example, the angle and intersection of the "hook" and the "x" prove that the Wyatt location — and not the Lake el-Ballah location — is the accurate location of the Red Sea crossing. (One would think that the presence of chariot wheels beneath the Red Sea would've been a clue in favor of the Wyatt location over the "Reed Sea" location.) This difference is significant for many reasons. For one, the name of the lake — more correctly transliterated el-b'Allah — means "The Lake of Allah." As explained in detail in Tribulation: 2008, there is an ongoing conflict in which Allah (the pagan moon-god, and son of Baal) challenges Yeshua (Jesus) — just as Baal challenged Yehowah. It is a fight of father versus Father, and son versus Son. Another reason why this Hooked X symbol is significant is because of the apparent relationship between the shapes of the Sinai Peninsula, the gap between the hook and the "x," and the unique keystone located in the Newport Tower — which was also featured in the History Channel documentary. That stone — with a notably "female" curved-triangle shape, which resembles the Sinai Peninsula — is located at the top of an arch on the west side of the tower. On the east side of the tower, about halfway up, there is a small window. As the sun rises on the morning of the Winter Solstice, a shaft of sunlight passes through the small window and illuminates the light-colored "female" keystone. Even more amazing, however, is the fact that two keystones on opposite sides of the Newport Tower line up with the location of the Kensington Rune Stone — more than a thousand miles away! All of these facts cannot line up by accident. There must be a hidden message. Whoever wrote the Kensington Rune Stone must have had a connection with ancient knowledge that has long-since been hidden. And, that connection extends forward in time through the voyage of Christopher Columbus, as well as backward in time to the events and locations described above. There is no doubt that, if we could tap deeper into this knowledge, we would discover that God — who "knows the end from the beginning" — has revealed something about his plans. 25 Sep 2009 -- America's appointment in Samarra?